Built with intuitive responsive design, the ROLLER POS seamlessly integrates all ROLLER modules for true end-to-end management. It covers everything from ticketing, management and inventory through to your food and beverage sales, eliminating the need for multiple systems. The entertainment industry offers a huge variety of ticketing types. Digital tickets, paper-based, name look-up and QR codes are all accommodated with the ROLLER handheld POS scanners allowing ticket validation from all entry points. 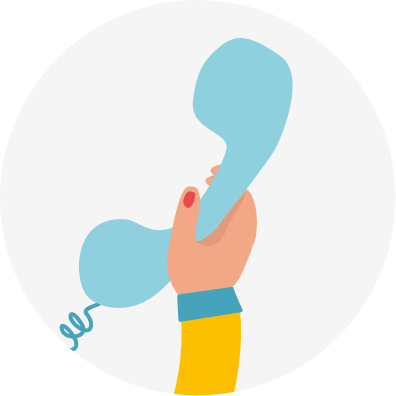 All ticketing types can be sold, validated, accepted and managed quickly from your POS, even if they were purchased online in advance. ROLLER POS is fully integrated to manage all on-site sales, all through the one interface and pulling from one source of inventory. Combining inventory sources helps provide a holistic view of your business, so you can eliminate stock that does not perform. Merchandise, retail, food and beverage, cashless or gift card modules allow operators to process transactions quickly, with minimal effort and maximum efficiency. Cashless, Pay Pass or built-in payment terminals are all joined improving service and throughput at the redemption counter. This means customers spend less time waiting and more time playing! 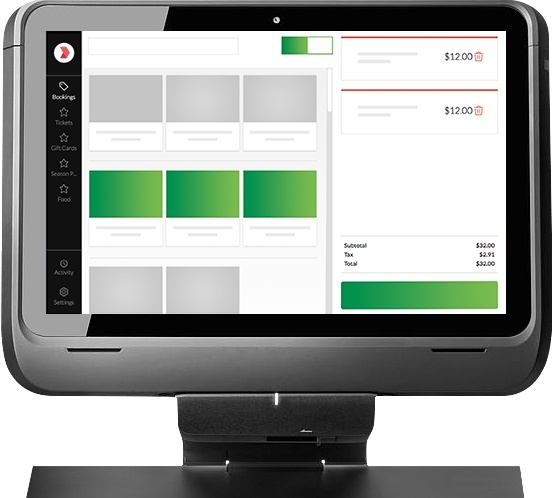 ROLLER POS will work regardless of internet connectivity so you can continue to serve and sell even when offline. 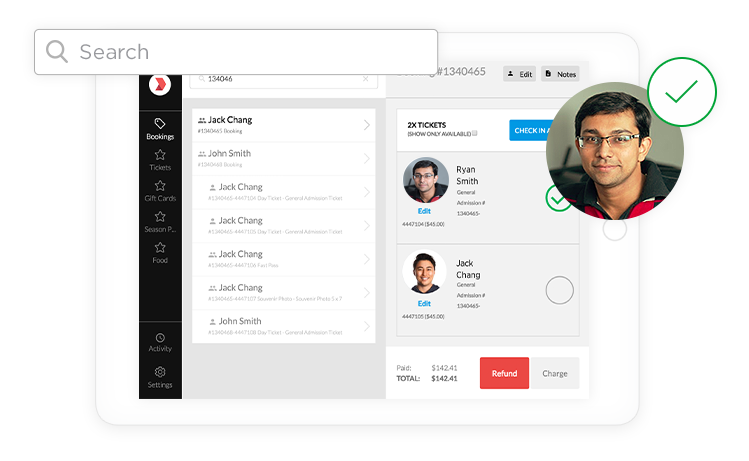 Your transactions will simply sync with your cloud-based ROLLER dashboard when you come back online. We do not store any sensitive data (like credit card info), so data breaches are highly unlikely. Backups are performed regularly so in the unlikely event that an outage occurs your data and information will be safe. ROLLER POS provides intelligent reporting capabilities, to give you reports that prioritise the areas of your business – that are important to you. Keep your accounts and management team on the same page. Track real-time results through any activated online device and keep track of your progress, even on your days away from the office. Reduce shrinkage with cash reconciliation and inventory loss with real-time reports and processing. The ROLLER POS system is highly stable and based on a Microsoft SQL database. With thorough in-house testing to ensure you will have no issues on site. Any questions? Don’t worry ROLLER provides 24/7 support so you can sleep soundly knowing you’re in good hands. ROLLER is a flexible cloud-based POS designed with leisure and entertainment venues in mind—it’s the ideal POS for your cafe, museum or amusement park. It even offers retail store capabilities. Everything you need to free up your time, grow your business and succeed.